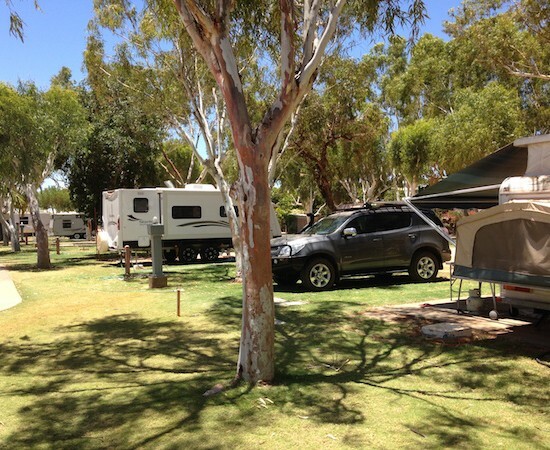 The Wintersun Caravan and Tourist Park team welcomes modern travellers to Carnarvon with old-fashioned customer service. With acres of green campsites and spotless chalet accommodation, Wintersun is an oasis in the north west. your family pet is also welcome. We are now part of Australia’s BIGGEST network of parks (270+) known collectively as “G’day Rewards” (Top Parks + Discovery Holiday Parks). G’day Rewards offers exclusive deals and benefits with some amazing lifestyle brands (Good Guys, Kmart Tyre and Auto, Virgin – Velocity Frequent Flyers) + 10% discount up to $50 per stay at any of our member parks. So you can enjoy exploring this beautiful country of ours – with Australia’s best holiday park loyalty program behind you. Stay tuned as there is more member benefits coming your way! Current OPENING HOURS – 8.30am – 5pm daily. Outside of these hours, our staff will be out and about in the park and available to take bookings by phone 99418150. If you wish to arrive outside of office hours, please phone and we will arrange a simple and seamless self check-in process for you. Wintersun has long been regarded as “the” place to stay in Carnarvon (ranked #1 on TripAdvisor 2014-2018). Friendly staff will greet you and the picturesque grounds and excellent facilities guarantee you a great holiday experience. With spacious caravan and camping sites and self-contained chalet accommodation, Wintersun is more than just a place to stay – it’s a relaxing haven and a perfect base for exploring the region’s famous natural attractions. All travellers, families and pets are warmly welcomed. Visitors to Wintersun enjoy the grassed and shady grounds, swimming pool, unique grassed bowling green, free campers’ kitchen with BBQs, recreation room with giant movie screen and the finest park and chalet accommodation. There is also a children’s playground, free WIFI, modern laundry facilities, an off leash dog exercise area and an extensive seasonal social events programme including meal nights, pancake breakfasts, fundraising concerts and movie nights. There is so much happening in the park, you won’t want to leave! Carnarvon is a popular stopping point for people travelling in the Gascoyne. The town lies within easy reach of the spectacular sights of the Ningaloo Reef at Coral Bay, Gnaraloo and Exmouth as well as the World Heritage Listed Shark Bay. It boasts every convenience and comfort that a weary traveller could want and the team at Wintersun welcomes you to Carnarvon. We look forward to being part of your journey through the magnificent Coral Coast region. 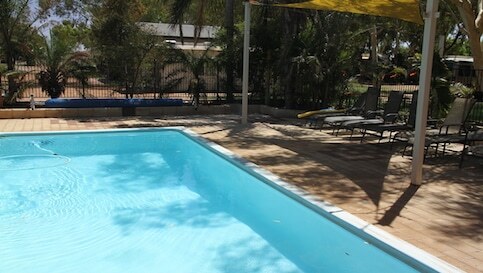 Are you looking for corporate, family or pet friendly accommodation in Carnarvon? At Wintersun Caravan and Tourist Park we have a range of options to suit your needs from deluxe self-contained chalets and cabins through to grassed caravan, camping and RV sites. We are proud of our reputation as the finest caravan and tourist park in the Coral Coast region, offering travellers an affordable and enjoyable alternative to hotels and motels. 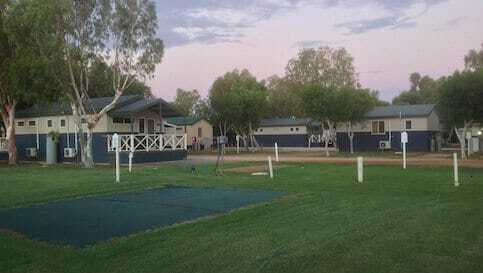 Visitors to Carnarvon’s best accommodation park enjoy a swimming pool, bowling green, communal campers’ kitchen with BBQs, meal nights, recreation room with giant movie screen and the finest park and cabin accommodation. There is also a children’s playground, free WIFI, modern laundry amenities, dump point, off leash pet area, fish cleaning facility and kiosk. 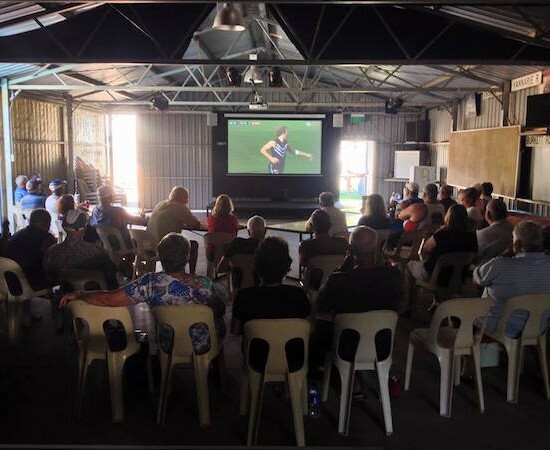 You’ll want to stay a little longer at Wintersun Caravan and Tourist Park once you learn about the “Park events” and “Things to do” in and around Carnarvon. Contact our friendly staff today to book your holiday in the Coral Coast region. We look forward to being part of your journey through this magnificent area. The Wintersun site is well run by friendly staff. Facilities are very clean and well maintained. Try to make it there for their famous “Spud” night. One of the better sites we have stayed in on our trip. Happily stay here again. Arrived pretty late Saturday but our reception couldn't have been better. Nice tent site near two sets of scrupulously maintained ablutions. Bonus was that Sunday morning was pancakes for breakfast cooked by our hosts. Fantastic. Many of our friends advised against visiting Carnarvon in the summer, but we must have jagged it. We drove into Carnarvon on Boxing day with our caravan, and rang the Wintersun caravan park when we were about 20 kilometres from town for a reservation. They did not disappoint us from that moment on. 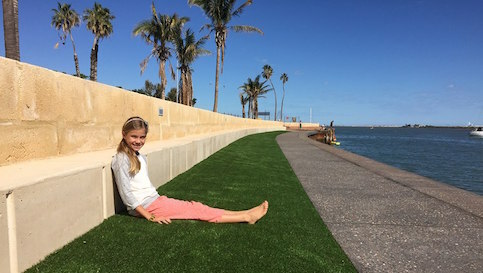 The park is lovely, the receptionist was most helpful and the gentleman who directed us into our bay could have steered a semi trailer into the spot, very efficient. The park was green lawns throughout and plenty of shady trees so the van stayed cool throughout the day, the breeze blowing in from the south, cooled the last remnants of heat from the van and we slept without the need of air conditioning. The facilities were spotless and the pool was fresh and relaxing. All in all this park was well worth a visit. As I said, we jagged it, as the park was only filled from about 1/3 to 1/2, as most people had headed south. I am so glad we didn't. I sleep over when driving down to and from Perth. I can always be sure of a refreshing dip in the pool and a good nights rest. En-suite Chalets are clean, fully air-conditioned with ceiling fans and small kitchen. Little verandah to relax on and sit back with a beer before hitting the bed, which has the most comfy mattresses!! We stayed at Wintersun for just under two weeks and we loved it. Dean and Mel were absolutely wonderful an so was their team! The facilities were always clean and tidy! We loved their pizza night! They were also always there if we needed a hand. Great prices and I would highly recommend. We will definitely be staying again. It’s the best and most well organised park we have stayed in. From the organised tours, the daily activities, the entertainment, informal dinner nights. The hospitality of the owners has made for a very enjoyable stay. We would definitely stay here again. Love everything about this park, great value. Green grass, water cart to keep dust down on roads, enclosed dog run, caravan and car wash available, doggie bedding washing machine, activities most days. Best choice in Carnarvon. From the moment we checked in at reception we had nothing but good things to say. The staff were exceptionally friendly and helpful. Sites were roomy and some were shady. Amenities were well appointed and maintained. We joined the tag along tour from the park to The Blow Hole and Gnaraloo Bay and had a wonderful experience. We also enjoyed great food and company on the Tuesday night Hot Spud and accompaniments meal deal. Everyone went out of their way to make you feel welcome. It is dog friendly and has a fish cleaning facility. Highly recommended to fellow caravanners. Great park. Dean and Melissa and staff all enjoy their job which is a reflection on their attitude. Always assisting in anyway they can, from directing us onto our site, spud night and tag-along tour. We had a great week in the park. We are leaving tomorrow, after spending 16 days here. Absolutely love the community feel and homely feel especially with the dinner nights and pancake Sundays thanks to the managers and staff. To lawn bowls and even disco night which our girls thoroughly enjoyed. 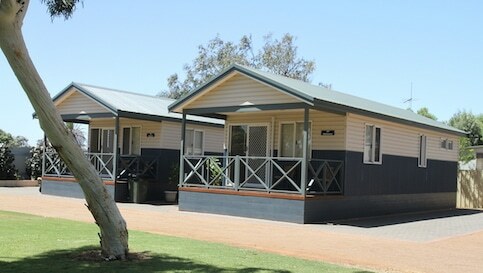 Would definitely recommend this caravan park to anyone who is looking at staying in Carnarvon. Couldn’t believe that i stumbled onto this little beauty. The staff were really happy and helpful, I just handed over my keys and they reversed my van in for me. The kids loved the pool - we were parked right next to it. The spot was lovely and shady and all the amenities were well looked after. I loved the super duper movie screen inside the big shed they had for the kids. Highly recommend this park. What more could one ask for? So worth a look. - Penny S, stayed January 2016, travelled with family. We have stayed in a few caravan parks in Carnarvon and this would have to be the best one yet! Great friendly staff, with great prices and deals! We are staying in one of the chalets, very very neat and clean and a large space. With all new and modern kitchen, bathrooms and living/ bed room. The mattresses are super comfortable, hair dryer, Wi-Fi, lcd television, coffee machine with pods, electric stove, fridge freezer and great aircon and ceiling fan. Outside has a nice tropical feeling with beautiful tropical plants planted everywhere which also gives privacy. The pool is nice and refreshing with a communal bbq and movie area around the pool area. Also portable cots are available for hire which is great as we have a 10 month old. I’ll be recommending this place to every one that comes to Canarvon! As avid caravanners, we are always happy to share our satisfactory experiences. Wintersun is one of these. From the check in, the friendly and very capable assistance to park one's van, the clean amenities, it all seems too easy for the staff Add to that an excellent grass bowling green, snack meals and TV in in the games room one seldom has to leave the Park for entertainment. Love it! We have been travelling for 3 months and this would have to be the best park so far. The staff and so friendly and helpful, sites are roomy and the facilities spotless. Reluctantly having to leave after 3 nights – they have set a very high standard for other parks to follow. The staff were very helpful and obviously cared about your experience here. We only stayed one night and would definitely stay again.